Willys-Knight was a line of automobiles produced between 1914 and 1933 by the more commonly known Willys-Overland Company. There were a number of “Knight” branded cars in production around this time because they all used Knight Sleeve-Valve engines (there were no less than eight). The Knight Sleeve Valve engine wasn’t exactly a novelty – there were all kinds of pioneering ideas in the early days of motoring as to how an automobile should be powered. That said, they did have a few issues and they were expensive to produce, even if the straight-six in this car did make 82 horsepower. But the car pictured here is about the looks. 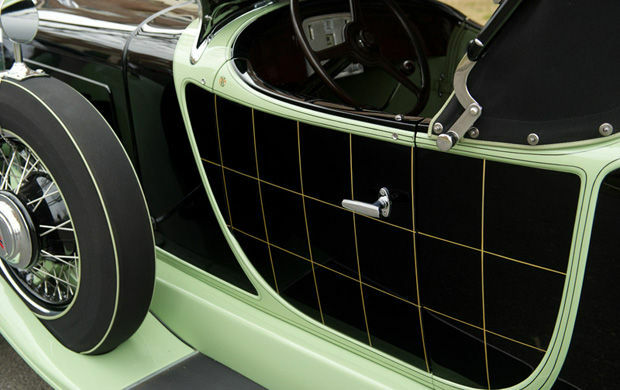 That combination of light green and black is very attractive – especially the painted grille. It’s a “Plaid-Side” Roadster with the doors appearing to be plaid. It isn’t something you see everyday. The body was designed by the Griswold Motor Body Company in Chicago. The pre-sale estimate is $140,000-$180,000, with uniqueness being a selling point here. To read the complete description and for more pictures, click here. To see the complete Amelia Island lineup from Gooding & Co, click here. 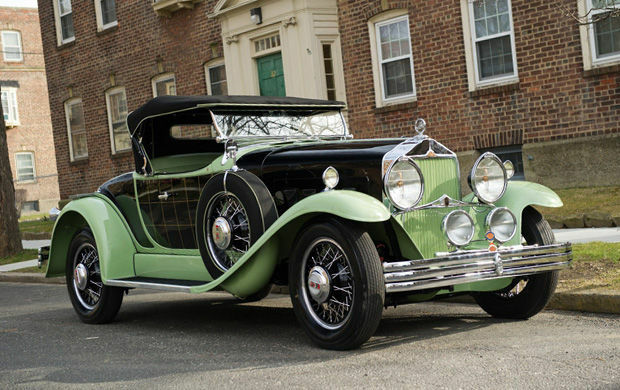 This entry was posted in Uncategorized and tagged 1930, auction, car, classic, classic car, gooding, gooding & co, great six, knight, plaid side, roadster, willys, willys-knight by classiccarweekly. Bookmark the permalink.